In her role as Chief Advocacy Officer at Canopy Growth, Hilary is responsible for driving patient advocacy efforts worldwide, executing the Company's global corporate social responsibility strategy, and leading the implementation of best practices for diversity & inclusion. Recently, she championed an initiative focusing on the role of cannabis in addressing the opioid overdose crisis and other substance use disorders. Canopy Growth donated $2.5 million to the University of British Columbia, and the BC Ministry of Mental Health and Addiction donated an additional $500,000 to establish the Canopy Growth Professorship of Cannabis Science which will examine the potential utility of cannabis in addressing the opioid crisis. Tjalling Erkelens (1956) is the founder of Bedrocan and currently holds the position of CEO / chairman of the board. Back in 1984 he started Bedrocan in the Netherlands together with his brother in law Freerk Bruining, focussing on indoor production of vegetables and herbs. Tjalling is strongly committed to maintain these family business roots especially now Bedrocan continues to grow. The cannabis plant came into the company back in 1992 for the first time. Since 2003 Bedrocan provides standardised cannabis of pharmaceutical quality to the Dutch government. It's the oldest legal company in the world providing several, chemically different cannabis varieties to be used by patients on doctor's prescription and as a raw material for the pharmaceutical industry (API). Mr. Conroy is a Barrister and Solicitor who graduated from the University of British Columbia Law School in 1971 and was called to the Bar of British Columbia in 1972. He has his own law firm, Conroy & Company, based in Abbotsford, British Columbia and his practice is primarily as Defence counsel in criminal matters with an additional focus on sentencing and post-sentencing matters which involves an extensive administrative law and constitutional law practice. From 1975 - 1980 he was the Director of Abbotsford Community Legal Services. From 1980 - 1990 he was the Director of British Columbia Prison Legal Services. He was the Chairman of the Committee on Corrections & Institutions of the Canadian Bar Association (B.C. branch) from 1978-1979. He was a Member and then Chair, CBA National Task Force on Imprisonment and Release from 1985 - 1988. He was the Chairman of the Committee on Imprisonment and Release of the National Criminal Justice Section of the Canadian Bar Association from 1988 to 2001. He is a Member of the Board of the International Society for the Reform of Criminal Law. In 1992 Mr. Conroy was awarded the Commemorative Medal for the 125th Anniversary of Canadian Confederation for significant contributions to Canada, community and fellow Canadians. In January 1996 Mr. Conroy was appointed Queen's Counsel. In August 2005 he was awarded the Gold medal of the International Society for the Reform of the Criminal Law in recognition of his contribution to the goals of the Society. In 2012 he received the Queens Diamond Jubilee medal. He was awarded the 2014 Liberty Award by the British Columbia Civil Liberties Association for Excellence in Legal Advocacy. In 2015 he received from the Office of the Correctional Investigator for Canada, the Ed McIsaac Human Rights in Corrections Award. On the Cannabis issue, Mr. Conroy has been involved in numerous cannabis cases since 1972 and incorporated, the National Organization for the Reform of the Marihuana Laws in Canada (NORMLCANADA) in 1977, the BC Compassion Club Society and 1997 and was counsel to numerous well-known members in the cannabis community. He appeared for Randy Caine at all levels of court, including the Supreme Court of Canada, in R v. David Malmo-Levine, and as co-counsel with Kirk Tousaw in R v. Smith. He was lead counsel in the recent medical marihuana case, Allard v Canada that determined the previous medical marihuana regulations to be unconstitutional and led to the current Access to Cannabis for Medical Purposes Regulations (ACMPR). He also appeared as counsel in the Supreme Court of Canada on behalf of the Vancouver Area Network of Drug Users (VANDU) that kept open the Vancouver supervised injection site. He has appeared on this issue before various Parliamentary and Senate Committees. Jürgen Bickel is one of two managing partners at STORZ & BICKEL GmbH & Co. KG, the manufacturer of the first and -to date- only medical cannabinoid vaporizers on the market. He holds a degree in civil engineering and acted as an international development worker in Peru for 5 years in the late 90ies, where he was dedicated to the water and sanitation sector in different cities like Chiclayo, Ayacucho and Tumbes. In 2002, Jürgen Bickel joined Markus Storz, inventor of the VOLCANO Vaporization System as a partner and STORZ & BICKEL GmbH & Co. KG was founded. Together, they established a fast growing and international business with highly demanded products. With the VOLCANO MEDIC and the MIGHTY MEDIC, STORZ & BICKEL provided the only validated application method for the administration of cannabinoids, which was crucial for the overall acceptance of cannabis as medicine. In December 2018, STORZ & BICKEL GmbH & Co. KG joined the world's leading cannabis company Canopy Growth Corporations as a fully-owned subsidiary. Beau Whitney is the Senior Economist at New Frontier Data. Beau has a unique blend of high tech business operations skills, economics and political analysis, as well as cannabis industry experiences. While at Intel and TriQuint Semiconductor, Beau honed his business operations skills associated with quickly ramping products from low volume to high volume. This is a skill he has since transferred to the cannabis industry. He is the former chief operations officer and compliance officer of one of the largest vertically integrated, publicly traded cannabis company in North America. His experiences incorporated growing, extraction, edible manufacturing, supply chain management and wholesale and retail distribution operations. As an economic and policy analyst, his Whitney Economics and New Frontier Data white papers and reports analyzing the cannabis market have been referenced in Forbes Magazine, The Washington Post, USA Today, as well as in cannabis industry publications and across the Associated Press wire. Beau has provided policy recommendations at the state and national levels and is considered an authority on cannabis economics. Franjo Grotenhermen, MD, born in 1957, academic studies of medicine at the University of Cologne. He is running a medical practice, mainly devoted to the medical use of cannabis and cannabinoids. Dr. Grotenhermen is founder and Chairman of the German Association for Cannabis as Medicine (ACM), founder and Executive Director of the International Association for Cannabinoid Medicines (IACM) (www.cannabis-med.org). He is editor of the IACM-Bulletin, which is published bi-weekly in several languages. He is a principal of the nova-Institute based near Cologne and author of many articles, books and book chapters on the therapeutic potential, pharmacology and toxicology of the cannabinoids. Burkhard was a member of the German Bundestag (Parliament) until 2017. He is a member of the Social Democratic Party of Germany, one of the main governing parties in Germany. In the Bundestag, Burkhard was, among other things, responsible for the budget of the Federal Ministry of Health and drug policy spokesman for the SPD parliamentary group. In this capacity, he played a decisive role in shaping Germany's drug policy for the last four years. He placed particular emphasis on the question of what a new cannabis policy in Germany could and should look like. During his time in the German Bundestag, Burkhard was instrumental in the development of Germany's present law on medical cannabis. One of his main objectives was to give patients cost-free access to cannabis as medicine without bureaucratic thresholds. Burkard was very successful in that regard. Burkhard is directly responsible for making Germany's medical cannabis legislation more consumer-friendly and less bureaucratic in several key respects shortly before it was passed. Even if the implementation of the law in the initial phase still shows considerable need for improvement (overall further reduction of bureaucracy, training need for doctors, pharmacists and patients, improvement of the invitation to tender for the import of cannabis, international cooperation), fundamentally Germany's medical cannabis program has been successful with a continuously increasing number of patients and enormous demand for cannabis. Burkhard has been invited on numerous occasions to Lisbon, Argentina, Brazil, Uruguay, South Africa and other countries to discuss cannabis and drug policy more broadly. Dr. Ware is Canopy Growth's Chief Medical Officer and is responsible for the Company's clinical research arm Canopy Health Innovations and Spectrum Cannabis, Canopy Growth's global medical cannabis business. Before joining Canopy Growth in July 2018, Dr. Ware spent over 20 years researching and evaluating different uses for medical cannabis. He is an Associate Professor in Family Medicine and Anesthesia at McGill University and over the past 10 years he has served as the Director of Clinical Research of the Alan Edwards Pain Management Unit at the McGill University Health Centre, and Executive Director of the non-profit Canadian Consortium for the Investigation of Cannabinoids. A family physician by training, Dr. Ware continues to practice pain medicine at the Montreal General Hospital and at a public interdisciplinary primary care pain clinic he established on the West Island of Montreal. His research has focused on the safety, efficacy and effectiveness of cannabis and cannabinoids in pain and symptom management. Dr. Ware is a graduate of the University of the West Indies, and worked at the MRC Sickle Cell Unit in Kingston, Jamaica from 1996-1998 where he developed his interests in pain management and cannabis therapeutics. He moved to McGill University to begin his program of cannabis research in 1999. Dr. Ware has acted as an advisor on medical cannabis policy to the Canadian government since 2001, and served as Vice Chair of the Federal Task Force on the Legalization and Regulation of Cannabis in Canada in 2016. Alex joined MedReleaf in 2014 which was the beginning of his career in the medical cannabis industry. Alex was present at the outset of the Canadian Medical Cannabis Industry Association (CMCIA) and during his subsequent tenure he served as committee chair and held the position of interim Executive Director. He has spoken to thousands of patients with various conditions and ailments such as PTSD and chronic pain. Alex has worked with Veterans Affairs Canada on the coverage of cannabis and vaporizers and is a proponent of methods of ingestion other then smoking. He left MedReleaf at start of 2017 and focused on cannabis education by creating a program called ``Cannabis IQ`` alongside MD Briefcase and a faculty of 5 Health Care Professionals. Alex is now the Director of Partner Development and Education for a Licensed producer called Flowr out of Kelowna, British Columbia. Marguerite Arnold is a veteran ``cannabis foreign correspondent`` and IT geek who has reported on the industry for five years from Europe while developing a regulated blockchain platform called MedPayRx for the approval of prescriptions and insurance claims in the EU - including medical cannabis. Prof. Hinanit Koltai, PhD, is a Senior Research Scientist at the Agricultural Research Organization, Volcani Center, Israel. She is the Editor of books and a member of Editorial boards in international scientific journals. She is a leading Author of more than 80 peer reviewed publications and more than 30 book chapters and invited reviews. Research in Koltai lab is focused on deciphering the ``entourage effect`` between cannabis compounds while specifying their medical influence at the molecular level on human cells and tissues. The lab combines state of the art chemistry and cellular and molecular biology tools, making novel discoveries in this field. Research results are IP protected; they are published in international scientific journals and form a scientific basis for the development of new cannabis-based medical products. with sourcing the right people to work in their cannabis business. David is the founder and CEO of Cannamedical. He has been a key driver of the company's growth, on-going vision and structuring. Fleta is the founder and Managing Director of Little Green Pharma, the first and currently only company in Australia producing locally grown medicinal cannabis products for patient use. With a background in health science and having positively changed the lives of thousands of Australians, Fleta has a vision to continue improving the health of people worldwide with cannabinoid therapy. With Australia's highly regulated medicinal cannabis industry and reputation for world-class agricultural produce, the resulting cannabis preparations are premium-grade quality and manufactured to EU GMP standards. Little Green Pharma cannabinoid medicines are now ready to be imported into Europe for patient use. Leah Heise is Chief Compliance Officer of 4Front Ventures, as well as Chief Experience Officer of Mission, 4Front's retail subsidiary. Leah has been involved in the cannabis industry since 2014, when her home state of Maryland passed comprehensive legislation that legalized the cultivation, processing, and dispensing of medical cannabis. A regulatory compliance attorney by training, she began utilizing her legal expertise to counsel individuals and companies joining the cannabis industry on business operations, infrastructure, and regulatory compliance. In mid 2015, she assembled a management team and formed Chesapeake Integrated Health Institute LLC to pursue a dispensary license in Maryland, which the company successfully received at the end of 2016. She is also former CEO of Women Grow, the largest professional networking group in the cannabis industry. Prior to entering the cannabis industry, Leah was an Enforcement Attorney for the National Oceanic Atmospheric Administration and the U.S. Coast Guard. She joined 4Front in late 2017. Co-founder and Chief business development officer (CBDO) at Pharmahemp. Romans has over 20 years of business development experience in brand and new product development. He specialized in development of innovative prescription-free health and personal care products, which offer consumers the possibility of pursuing a healthy lifestyle. During the last 4 years Roman has been involved in marketing and development of key PharmaHemp products and setting up ERP system. As Chief business development officer, he manages all direction, from research to development and marketing. His last project in PharmaHemp is global launch of oral health care portfolio and pharmacy line. Stephen's career began in the investment banking division of one of Canada's premier banks before leveraging that banking experience with his knowledge of cannabis in co-founding the private equity firm Huxton Black LTD.
Huxton Black operates as a hybrid robo-advisor portfolio management firm which raises capital and consults in the cannabis space, and Stephen serves as the Chairman and CEO of one of Huxton Black's cannabis ventures called Hello Cannabis Corp. The company is now involved in 8 different projects across 3 continents after branching out from its original focus on educating physicians, unions, employers, and private corporations on the solutions surrounding medical cannabis programs. Hello Cannabis has now rapidly grown to become one of Canada's most exciting vertically integrated cannabis companies after signing a retail partnership agreement to build and operate legal cannabis stores in Canada. Prior to founding Hello Cannabis, Stephen founded and served as President of Cannoleum Inc (Now operating as GR Genetics) which was acquired by the Canadian licensed producer Green Relief. GR Genetics focus is exclusively on the genetic cultivation and propagation of medical cannabis plants. Sheldon is a Co-Founder and Founding Director of Atlas Biotechnologies, business professional, marketing consultant and entrepreneur who is driven to innovate, create and manage. Currently seated on the board of directors at two firms, Sheldon brings over seven years of corporate management experience to Atlas Biotechnologies. He has been featured in news articles, radio interviews, and on television following his successful business pitch on the Canadian TV series Dragon's Den in 2013. He has worked with and directed both small and large business teams to bring start-up businesses to new levels both nationally and internationally. Sheldon has extensive experience operating production and distribution in government controlled industries. His past six years have involved extensive cooperation with both provincial and national government bodies to allow his affiliated businesses to import, export, market, and distribute within tightly controlled and regulated markets. Ophelia Chong is the founder of Stock Pot Images and Asian Americans for Cannabis Education (AACE). She is driven to help shape the new conversation of Cannabis and is guided by one mission: to advocate for the legalization of cannabis and offer truthful reflections of the faces and communities that embrace cannabis. As of January 2019, Ophelia joined Aura Ventures as executive creative director. Coming this Spring 2019 she will be featured on ``Pimp My Grow`` as the Short Chinese Garage Grower with DNA Genetics and B-Real of Cypress Hill. Ophelia has joined SIVA LLC as an equity partner in a vertical license (retail, cultivation, manufacturing and delivery) in a TBA location in Los Angeles, CA. Adam is an intrapreneur, working in the German pharmaceutical field since 2013. Throughout his career, he became managing director of one of the first German online pharmacies, has been leading marketing and projectmanagement departures and managing teams at different scales. He and his partners are providing medical cannabis to German patients since 2014. He is also co-founder of the service called ``Cannabis Apotheke``. Dave is an army veteran, who was deployed overseas and also spent time in the National Guard and Army Reserve. Dave has a B.A. in Business Management from Capital University in Columbus, OH. Mowgli Holmes is a molecular and evolutionary biologist. He has a PhD from Columbia University, where he was a National Research Service Award Fellow. He is a founding board member of the Cannabis Safety Institute and is Chair of the Oregon State Cannabis Research Task Force. VICE PRESIDENT PHARMACEUTICAL SERVICES, CANNABIS COMPLIANCE INC.
With 18 years experience in the bio/pharmaceutical and medical device industries, her career has focused on quality assurance and project management. Karina brings strong management and professional oversight of our ACMPR licence applications in Canada. Prior to joining CCI, Karina held Director level positions with Dalton Pharmaceutical Services, Contract Pharmaceuticals Ltd and Amorfix Life Sciences. Karina holds an MBA and B.Sc in biochemistry. Emanuel Kotzian dedicates himself to the education about the effects of marihuana and lobbies for the re-nomalisation of this classic cultural plant. In 2000 he established germanies biggest magazine ``Hanf Journal`` and founded Agentur Sowjet GmbH, where he currently serves as CEO. With more than 1 million fans, followers and readers on several channels, Agentur Sowjet is one of the leading marketing companies on the European Hemp Market. Its network of companies and branch offices extends from the Canary Islands to Kiev in the Ukraine and represents a unique platform for any market participant. Emanuel Kotzian was born 1972 in Krakow and immigrated with his family to Germany. After finishing High School in 1992 he studied Economics. Jamie Shaw is a Partner of Groundwork Consulting, Director of the BC Independent Cannabis Association, and an Advisor to NICHE Canada. She has previously served as Government Relations and Sr. Policy Development for Indigenous Bloom, Government Relations Director for MMJ Canada, President of CAMCD, a Director of the B.C. Compassion Club, and co-founder of Canada's first Women Grow Chapter. She was an expert witness in the Allard trial that won patients the right to grow for themselves, and her lobbying efforts led to dispensary licensing in multiple B.C. municipalities. She is a co-author of the Lift Retail Cannabis Training Course, and her writing on cannabis issues can be found in various publications. Susan Chapelle has been both a patient and an advocate for the cannabis industry for over 10 years. As a city councilor, Susan advocated for and put forward policy to reflect recent legalization, and to help those small businesses involved in the growth and dispensing of cannabis to retain their place in the new economy. Susan has recently accepted a position as Director of Government Relations with Pasha Brands and is excited to be utilizing all of her gained knowledge in politics, science and startups to help keep the small business economics of cannabis viable in a time of rapid industry growth and regulatory uncertainty. As a business owner for over 30 years and an early adopter of innovation, Susan opened the first multidisciplinary health care clinic in Squamish, BC. Squamish Integrated Health maintains over 20 practitioners and serves the health of the community through evidence based treatments that have been developed and published in peer review journals. Susan's recent opening of Aligned Collective in Squamish as a space where people can work together across sectors to resolve economic and social issues, as well as move into smart city solutions will be an exciting use of her Community Economic Development education at SFU. As an entrepreneur and advocate, her recent completion of a Master's degree in Business Administration at Simon Fraser University has helped her grow her skills in the world of startups. In the 2018 municipal election, Susan finished her 10-year political career and two terms as a city councilor where she advocated for healthy cities and active transportation with running for Mayor in the District of Squamish, BC. As a researcher, Susan has published extensively in the area of wound healing and mechanism of manual therapy as co-investigator with Dr. Geoffrey Bove, D.C, PhD at the University of New England. Recent work on a National Institute of Medical Science grant to study mechanisms of post-operative adhesion formation has been published in PLOS One. Her recent publication on mechanism of repetitive strain injury has been published in PAIN. Her numerous publications and expertise on the subject of healing mechanisms, as well as cities and technology have offered her the opportunity to speak both locally and globally as a keynote speaker and educator. Philipp Weber is one of the CEOs and founders of CANNAMIGO. CANNAMIGO produces and distributes high-quality CBD products, hemp clones, growing equipment and consumer equipment for businesses and customers. Weber and his team have created an open-minded place for all people interested in cannabis: the CANNAMIGO TEA HOUSE. Based near Bregenz in Austria it combines indoor growing, a shop and a place where people can relax in a cozy atmosphere and inform themselves about cannabis. Weber has various qualifications in the fields of rhetoric and success management and together with his team has set himself the goal of informing society comprehensively about Cannbis and to get the medicinal plant out of its drug stigma and back into the middle of society. With courage and passion, CANNAMIGO strives for of a world where the Cannabis plant and its derivatives are socially accepted, and people's lives and health can benefit from all the versatile uses of Cannabis. Jeff Kiehn is the CEO of 365 Cannabis and also serves as CEO of NAV 365. He brings more than three decades of experience in the retail sector, specializing in technology and Enterprise Resource Planning for cannabis companies. In the early stages of the cannabis industry's development, Kiehn recognized the need for an integrated end-to-end ERP solution for the sector. His strong retail background and expert understanding of Microsoft Dynamics software provided the foundation for the establishment of 365 Cannabis in 2015. For Kiehn, the ever-evolving cannabis market is a space where he can truly exercise all of his skill-sets. The success of 365 Cannabis is the culminating product of his technology expertise and intuitive understanding of retail operations and supply chain needs. Zeta is a top level U.S. cannabis consultant who has 25 years experience in multiple industry segments. He is the CEO of Green Rush Consulting, a national cannabis consulting firm with a successful track record of winning cultivation, manufacturing, and dispensary licenses. Located in Oakland, CA, Green Rush Consulting is considered to be one of the top five cannabis consulting firms that specialize in winning license applications nationally. Globally, Zeta has helped successful companies in Canada, Colombia, and Australia. for cannabis and solventless extracts Vincent helped inspire and popularize the solventless movement by making Rosin Tech Products a cornerstone of the Cannabis marketplace. Providing equipment, expertise and education to consumers and businesses alike. As his travels through cannabis brought him to experience different cultures launching the Dab Nation brand came about naturally. The brand aims to elevate the consumer experience and eliminate the negative stigma associated with cannabis by exhibiting the connection between Cannabis x Art x Culture around the World. Chris Husong is an international branding and marketing expert with over 20 years' experience in emerging and regulated industries including telecom and finance. Having worked in cannabis since 2014, Chris has a deep knowledge for global hemp standards. Motivated to exceed those standards, since 2015, Chris Husong has been leading the international growth of Elixinol which is sold in 40 different countries. As a strong advocate for quality standards and industry best practices Chris' support of industry organizations such as Hemp Industry Association (HIA), US Hemp Roundtable and Realm of Caring (ROC) is notable. As Director of Sales & Marketing for Elixinol, a global company with triple-digit year over year growth since 2015, Chris oversees all Elixinol international digital properties and sales efforts including product development, partnerships, branding and public relations. global tech & cannabis companies. Founder of krautinvest.de - the German B2B cannabis online magazine. Kai has been a business and corporate lawyer in Germany for almost 16 years gaining wide range of experiences in the process. He is very familiar with the interconnectivity between national and European regulations, especially in regard to consumer protection and emerging new cannabis products. He has engaged in advocacy relating to cannabis beginning in early stages of his studies at Philipps University Marburg when the German Supreme Court ruled that small amounts of cannabis should not be criminalized. After medical cannabis was legalized, Kai started a legal blog (canna-biz.legal) on all the relevant new developments in the emerging cannabis market and became a legal expert especially for CBD products. He regularly speaks at international cannabis conferences on topics of the German and European legal framework. 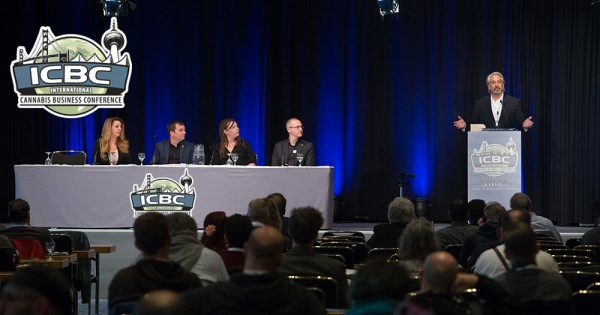 In 2018 he was part of the international panel at the MjBizCon INT'l in Toronto and was invited by the National Cannabis Bar Association to speak at the Cannabis Law Institute in Washington. He has published articles on the Prohibition Partners platform and was cited by the Cannabis Law Report as well as the Canadian Globe and Mail. Kai is a co-founder of the International Cannabis Bar Association which establishes in April 2019, as well the German Patient Roundtable. He consults major CBD companies as well as a reputable online knowledge portal for medical cannabis and CBD. Entrepreneur and COO Pete Patterson co-founded Vitalis Extraction Technology Inc. in January 2016. Patterson has 15 years of technology experience in varying industries including legal, retail, manufacturing and health care. Most recently Patterson served as the COO of Doventi Capital, working alongside his Vitalis co-founder Joel Sherlock. Prior to that he was the National Operations Manager for Ricoh Copiers, overseeing a $100 million per year business. Having both run and consulted for new entrepreneurial ventures and and Fortune 500 companies, Patterson has found his passion is in start-ups, igniting and fostering the entrepreneurial spirit any chance he can get. Patterson graduated from Sprott Shaw College in British Columbia, and then went on to receive his MBA from Royal Roads University in Victoria, BC. He also holds a specialized certification in Management Consulting. His interest in animal health and welfare from an early age led him to Texas A&M University's College of Veterinary Medicine, where he earned his doctorate in veterinary medicine. Prior to founding VETCBD, Dr. Shu practiced in emergency, critical care, and general medicine. Dr. Shu's work on cannabis and pets has garnered international attention and has been featured by The Today Show, CNBC, and The New York Times. Jonas Straumann is the CEO and founder of Redecann. Redecann operates as a strategic partner for universities as well as companies involved in the cannabis industry, i.e. Redecann can offer easy access to university-based research networks for cannabis companies and easy access to private research funding for universities. Besides Redecann, Jonas has founded two other companies both active in the cannabis industry that cooperate closely with the CULS - the University of Life Sciences in Prague. Thanks to his long-term partnership with the CULS and engagement in strategic management of his companies, Jonas has developed a unique blend of different skills and knowledge. Jonas combines the understanding of needs and mechanisms of university-based research networks and needs of companies active in the cannabis industry with skills in communication and strategic management. With Redecann, Jonas came with a solution to overcome numerous obstacles and barriers which the cannabis companies and universities face. In addition, he is able to provide complex services to create a complete package of strategic tools under one roof. Apart from strategic partnership with the CULS, Jonas established strategic cooperation with the biggest cannabis related social media network - Highlife Media Consulting. Engaging a skilled film crew, Jonas also created high-end marketing videos during the research and development projects at the CULS. Combination of cooperation and know-how enables Redecann to be a holistic and powerful strategic partner for cannabis companies, by offering services in research, development, marketing and publication. Jonas will talk about the importance of strong strategic partnerships for cannabis companies and benefits that can result from a strategic partnership that combines research, development, marketing and publication. Since starting at Ceres 7 years ago Josh has created the Cannabis division, bringing more than a decade of experience in both construction and growing cannabis. Josh approaches his job with an interdisciplinary understanding of systems, architectural design, and problem solving. His goal is to create a whole-systems approach to both greenhouse design and environmental controls, resulting in the most efficient systems and highest quality products. CEO OF GLOBAL HEALTH CLINICS LTD. PRESIDENT MCRCI & CROFT CONSULTING INC.
With his knowledge and experience in the medicinal cannabis industry, Mr. Roycroft soon became one of the top consultants in the country for the Access to Cannabis for Medical Purposes Regulations (ACMPR), as well as the former Marihuana for Medical Purposes Regulations (MMPR) and Marihuana for Medical Access Regulations (MMAR). In 2018 Mr. Roycroft took MCRCI public under the name Global Health Clinics Ltd (CSE : MJRX) (FSE : L002). They will continue to use their educational platforms to expand the brand and penetrate international Medical Cannabis Market. Mr. Roycroft is currently lined up to speak at various conferences internationally over the next year. INTERIM CEO & CHIEF PRODUCT OFFICER, NAMASTE TECHNOLOGIES INC.
Mr. Meni Morim serves as Interim Chief Executive Officer at Namaste Technologies Inc. since February 4, 2019. He was Co-Founder & Chief Executive Officer at Findify AB. Mr. Morim joined the Namaste team in May 2018, through the acquisition of Findify AB (``Findify``) to lead Namaste's AI initiatives as Director of AI. Findify is an A.I.-focused, turnkey solution that enables eCommerce sites to personalize search results, product recommendations, and product collections based on a user's specific behavior and proprietary machine learning technology. Meni has 19+ years of software development experience, over a decade of which has been spent leading teams while they develop new, bleeding-edge products. He has lived and worked in Tokyo, NYC, Tel-Aviv, Stockholm, and served 5 years in the IDF's elite technology unit, Mamram. Ian Dyck heads up Partnerships for the Regulated Industries team at Shopify, a leading global commerce platform. As a founding member of the Regulated Industries team, Ian was instrumental in positioning Shopify to support both Licensed Producers in the medical market as well as the launch of adult-use cannabis in the Canadian market. To date, Shopify's commerce platform powers provincial governments, private retailers and licensed producers like Canopy, Aurora Cannabis, Tokyo Smoke, and the Ontario and British Columbia Cannabis Stores. Within the legal cannabis industry, there is vast opportunity coupled with unique challenges. Ian merges the Shopify ecosystem, commerce expertise, and partners (tech, agency, and community) to collaborate on the future of the cannabis industry. Ian has 14+ years experience in business development and partnerships across multiple industries. In his spare time, he's a father of two and dabbles in voice acting and standup comedy. As President and Chief Technology Officer at Strainprint David is responsible for the on-going development of the Strainprint application and emerging analytic products. David works directly with the company's developers, customers, partners, physicians and clinicians to deliver on the vision of a crowd-sourced medical cannabis tracking ecosystem. David has a broad technical and business background with over 20 years of experience managing product and engineering teams for major multi-national technology companies. David has spent the last 5 years working in the medical cannabis industry and has experience working in commercial cultivation and distribution in Holland, Jamaica and Canada. David has a BCom from York University and a Masters in Business Administration from the University of Windsor. Liam has established and runs several businesses in the UK, operating in hydroponics distribution, agricultural equipment manufacture, healthcare distribution, and trade brokering and consultancy. Graduating from the University of Wales, Bangor in Marine Science in 2002, he worked for six years in major construction and certification corporates, rising to management level in UKAS accredited materials testing and development laboratories for Cemex and Bureau Veritas. During this period, he developed considerable knowledge and experience of European product standards, quality management systems, compliance testing and audits. In 2008 Liam then moved to the hydroponics industry, excelling in technical sales and product development in distribution for the largest UK distributor, and following that developing knowledge and expertise in new market development, manufacturing, nutrition and big-ticket sales in the livestock nutrition sector. In 2012 Liam moved to new start up and that partnership has led to the development of the medical cannabis businesses that Liam operates. Having helped to develop legislation in the UK and taken two medical cannabis businesses through early stage development with seed funding, Liam is now focused on building out these businesses as the medical cannabis sector continues to flourish. Elite Healthcare Distribution is a sales and marketing company, with an exclusive partnership with a UK licensed pharmaceutical importer and distributor. Given the advanced knowledge of cannabinoid and terpene interactions, the business aims to supply quality, innovative cannabis-based products, with a particular focus on cannabinoid medicines. With four years' experience of the EU CBD and medical cannabis market, Liam has positioned EHD to be a significant player in the distribution and brand development area of the European medical cannabis market. EthnoPharm Group is a collaborative business, formed initially by several industry players looking to establish Europe's first major cannabis company. On understanding the coming tsunami of low-cost product, the team decided to focus their energies on consulting and brokering to operators developing in the market. In order to digitise the workflow and services offered, EthnoPharm is now launching an e-trade marketplace, as well as portals for certification and compliance, and education and product data. 2019 will see EthnoPharm's producers coming onstream and significant volumes of product moving into Europe. C.E.O. AT STRAINPRINT TECHNOLOGIES LTD.
Andrew is a hands-on entrepreneur that has led public and private technology companies since 1995. To Strainprint, he brings deep corporate and financial experience, broad expertise across regulated cannabis markets in Canada and the U.S., and a passion to help people. He is a published legal author with graduate degrees in Business and Law and is a member of the State Bar of Michigan. Strainprint is the largest medical cannabis data collector in the N. America with 50 million data points and 1.5 million tracked medical outcomes currently. Dr. phil. Sebastian Schulz is the Director of Communications & Marketing for Spektrum Cannabis Germany, a wholly-owned subsidiary of Canopy Growth Corporation. As a former student of the renowned philosophers William G. Lycan, Simon Blackburn, and Manfred Frank, his research focused on the philosophy of mind, neurocognition, and altered states of mind with a special focus on the psychotropic effects of cannabis. He has published and co-edited multiple articles including ``Bewusstseinserweiterungen`` (``Mind Expansions``) in the German digital magazine ``Parapluje.`` Under his pen-name Sebastián Marincolo, he also published three books covering his research into the mind-altering effects of cannabis. His work has been featured in major media outlets and podcasts worldwide. Before joining Spektrum Cannabis he spent more than five years as a creative director and consultant for one of the biggest foundations in Germany and gained over 25 years of experience as a freelance photographer. His art photography from New York City, Rio de Janeiro, Bali, and his cannabis macro art photography has been shown in various exhibitions and art galleries across Germany and the U.S. He is currently living in Stuttgart, Germany. Born in the UK and raised in England and Germany by British and German parents, Rebecca has studied at universities in Germany, England and China. She gained several years of work experience as a fitness and dance instructor for children and adults during this period. Since her graduation in 2007 Rebecca has been working for companies in the food industry as a product & key account manager at an international and executive level for brand and private label companies. Looking back at over ten years of experience in the FMCG industry, Rebecca is an expert for the food industry and retail, specialising in the development and sale of innovative and trending food concepts for retail brands and food manufacturers. ``What drives me is a passion for food products, which are health-conscious and truly sustainable``, says Rebecca. This naturally led her to the emerging cannabis market, where she is active member in two organisations, the CannaFem Network, a network for women, hemp and cannabis and the German Hemp Association (DHV). David Wenger is an attorney and general partner in PurpleRock Cannabis Partners, a private equity growth fund focused on consumer-facing cannabis brands. David wrote a seminal White Paper on the US cannabis industry, ``The Green Regulatory Arbitrage: A Case for Investing in US Multi-State Vertically-Integrated Cannabis Companies`` (New Cannabis Ventures, Sept 2018), widely read across the world. David is a member of the US Senate Cannabis Working Group and the US House of Representatives Cannabis Working Group. In those roles, he has the historic opportunity to work with senior Congressional staffers on advancing federal cannabis legislation. David also serves on New York Governor Cuomo's Cannabis Advisory Board and on America Israel Cannabis Association's Advisory Board. David is a longtime cannabis industry investor, managing a multimillion-dollar family portfolio invested since 2016 in privately-held and public US and foreign cannabis companies. Before David's current professional focus on the cannabis industry, for 13 years he represented foreign government and major corporate clients in high-stakes complex cross-border disputes and transactions. Working in the New York office of leading global law firm DLA Piper, David acted for clients around the world such as Kingdom of Thailand, Petrobras, Ruler of Dubai, Afghanistan, PPG, Irving Shipbuilding, Pfizer, Troy (Vietnam), and Oman. Serial entrepreneur with two successful businesses that were handed over to management to solely focus on changing the way the planet feeds and grows itself. Now head of US and Europe operations, Cem is focusing on patented dehumidification, IOT solutions and other environmental technologies. Gavin is the CEO of Alta Flora, an end-to-end cannabis technology company. He is also a board director of Oxford Cannabinoid Technologies and trustee of the United Patients Alliance. Gavin was previously an executive in the technology industry, working at Tesco, Facebook and Endemol. He started his career at Bain & Company. He has a degree from Imperial College London and an MBA from Harvard Business School. Benjamin Adams has over a decade of experience in the agricultural and cannabis industries, and has worked with Pacific Northwest legends, nurseryman Vern Johnson and the late pomologist Roger Detering. He's collaborated with Lost Valley Education Center, UC Santa Cruz, and Compassionate Care Research Institute. He's been a cultivation manager and has developed integrated pest management strategies for multiple licensed producers in several states. Benjamin currently works for Phylos, a genomic science company pioneering the future of hemp and cannabis with data-driven breeding. He has a BS in Biology from the University of Oregon and studied sustainable agriculture at UCSC. Alexander Straub is a German-born entrepreneur, the head of the London firm Straub Ventures, and Cambridge Accelerator Partners. He was a Rhodes Scholar at the University of Oxford. He holds degrees from Darmstadt (Dipl. Ing_ and the other from Cornell (MEng). He also attended Stanford University. In 1999, Straub and business partner Rouzbeh Pirouz won a Sunday Times entrepreneurship contest. With the prize money and additional funding of around £7.6m they launched Mondus, an online B2B marketplace for SMEs . By April 2000 the business was valued at £760 million. Later that year, in August, a 40.7% stake was sold to the Italian firm Seat Pagine Gialle for £100m in cash and shares. Soon after the transaction Straub was appointed as Vice Chairman. He moved to New York City to establish Lazard Technology Partners II, a $300 million venture fund, while Pirouz stayed on with Mondus. The duo later bought back Mondus. In 2006 he co-founded mobile Voice over IP specialist Truphone with James Tagg. Straub was named Technology Pioneer at the World Economic Forum in 2007 and 2008 for his work with Truphone. In 2007, Straub co-founded Pixsta, a visual search company that later merged into Empora Group. Today, he remains CEO and Chairman of Empora Group, which operates the social sharing network Fashionfreax and Avenue7. He acquired fashionfreax in 2010. In early 2017 Straub launched SnapMe, an App-based e-commerce company, based on e-commerce enabled via computer vision, machine learning and A.I. in preparation for an augmented reality and VR enabled world.